Winter jackets, spring jackets, leather jackets, trenchcoats, denim jackets and parkas are available in different styles at Bubbleroom. We have lots of jackets like quilted heritage jackets, denim jackets and chic coats. 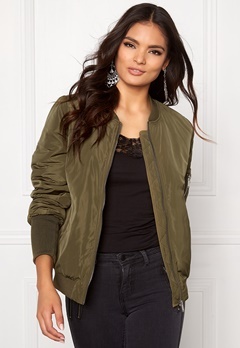 We offer several trendy styles like capes, bomber jackets, fake fur, college jackets and more.